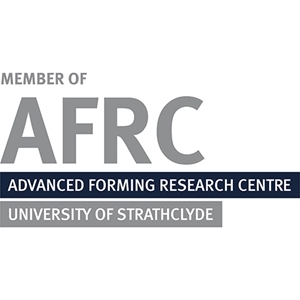 NIKKEN are delighted to announce their new membership with the Advanced Forming Research Centre, AFRC, which will support their current and future research projects in the form of equipment, tooling, materials, and software or knowledge exchange. Our new membership will allow customers to visit the AFRC and learn from their engineers how they’ve utilised a NIKKEN solution, as well as build new relationships with the Oil & Gas and Aerospace sectors in Scotland. NIKKEN recently exhibited at the Offshore Europe exhibition in Aberdeen and the new membership of the AFRC will underpin the companies’ commitment to the region. AFRC have recently purchased a new Quasar Machine complete with twin-axis NIKKEN Rotary table, which will allow them to manufacture components for a special project with full 5-axis capability. 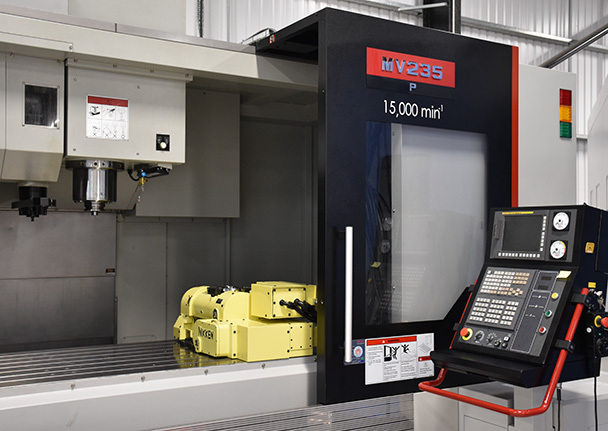 The machine is a Quaser MV235P/15C 5 Axis Vertical Machining Centre with Fanuc 31i-MODEL B5 CNC controller and Maxia 50 Taper Dual Contact Spindle running at up to 15,000 rpm. 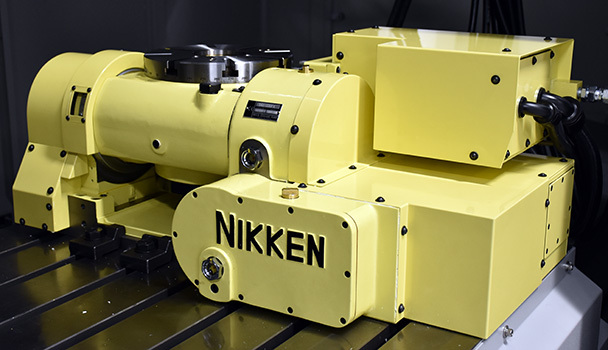 The machine has a clamping surface of over 2.2m so even with the NIKKEN 5AX-230 fitted to the bed there is ample room to set up additional workholding without disturbing the 5-Axis solution. As founder members of the Advanced Manufacturing Research Centre (AMRC) in South Yorkshire, becoming members of the AFRC was a natural “next step” to support research and development in the next phase of technology in this exciting industry.